When American and British forces clashed at Parson’s Creek near Cambridge, they didn’t realize that the War of 1812 had been over for several weeks. Peace commissioners had signed the Treaty of Ghent on Christmas Eve, 1814. The British, weary of their long war in Europe against Napoleon, were eager to end hostilities. And the young United States had found it wasn’t so easy to achieve a clear victory. Both nations were glad to put the conflict aside. Unfortunately, it would take weeks for word of the treaty to reach North America, considering that news only traveled as swiftly as the swiftest ship. The news came too late to prevent the Battle of New Orleans on January 15. Thousands of British would be killed or wounded in a battle that cost fewer than one hundred American lives. This victory would eventually propel Andrew Jackson to the White House. For the British and Americans still fighting on Delmarva, news of the peace would also come to late to stop a battle — although one on a much smaller scale than at New Orleans. The winter had been a hard one on Chesapeake Bay, with ice clogging the creeks and rivers. 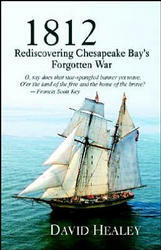 On February 7, 1815, that ice proved to be the undoing of a British vessel and its young commander. Lt. Matthew Phipps was probably foraging for supplies or else on a scouting expedition to keep an eye on American activities. The two vessels under his command were “tenders” or ship’s launches from the HMS Dauntless. But these were no mere rowboats. Phipps’ launch was equipped with a twelve-pound cannon and a smaller swivel gun. Accompanying Lt. Phipps were a midshipman, twelve sailors, three Royal Marines, and an African-American cook named Becky. At some point, this British expedition ran into trouble when it became stranded in ice that had been built up by the wind and tide to form the “Ice Mound” that gave the battle its name. Watching from shore, Americans saw that the British were ensnared. Quickly, they assembled the 48th Regiment of Maryland militia, commanded by Lt. Col. John Jones. Trapped in the ice, the British must have made an easy target for the Americans firing from shore. The British fought back, but Lt. Phipps must have realized the futility of his position, exposed in open boats while the Americans picked them off. He surrendered to save the lives of his men. 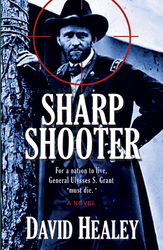 It must have felt like a tremendous victory to beleaguered American forces. The captured British were marched victoriously to Easton, with the cannon dragged along as a trophy of war. Seven days later, word finally arrived that the War of 1812 was over. The British were released, but the Americans kept the cannon. It was nicknamed “Becky” for the cook and “Phipps” for the hapless Royal Navy lieutenant who had been captured. The “Becky Phipps” cannon was fired on special occasions over the years, until it finally exploded when too much powder was loaded at the inauguration of Woodrow Wilson (or possibly Grover Cleveland). A local family retrieved the shattered pieces and reconstructed the cannon, where it can be seen today under a pavilion at Taylor’s Bridge. These days, the cannon isn’t fired anymore, but it serves as a reminder of that final War of 1812 battle on Chesapeake Bay. 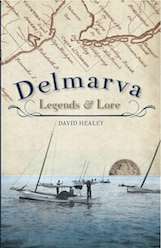 This entry was posted in Delmarva History and tagged David Healey, Delmarva Legends and Lore, War of 1812. Bookmark the permalink.